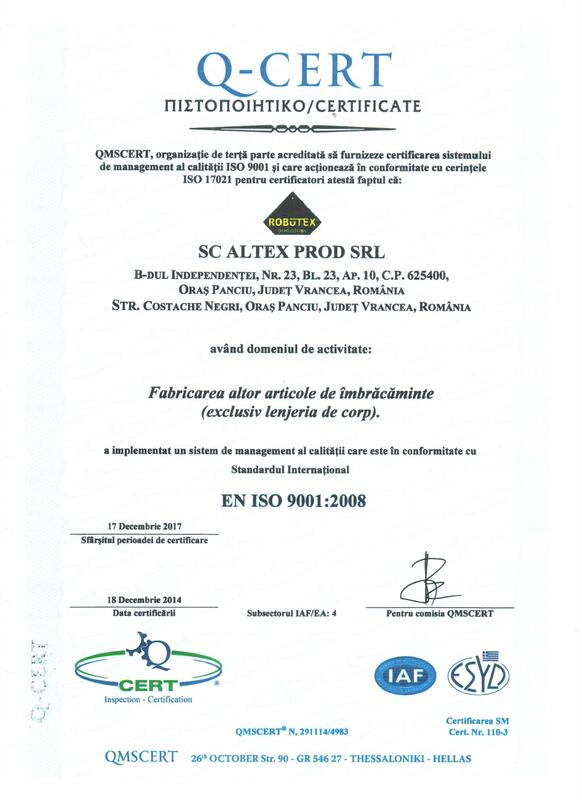 SC ALTEX PROD SRL was founded in 1996. Our goal is to manufacture high quality casual apparel and sportswear. Located in Panciu, a city with a tradition of over 50 years in textiles, the existing human resource has extensive experience in this field and is both productive and work ethic exquisite, quality and speed being in a balance that only experience can offer. In our company, there are currently 80 employees. Our product range is wide, as well as the machineries in the production department, which makes us the suitable to work on thin to very thick fabrics. From viscose (100g) to fleece (> 380g) cotton fabrics, polyester, lycra etc. We work both in lohn system and full price. 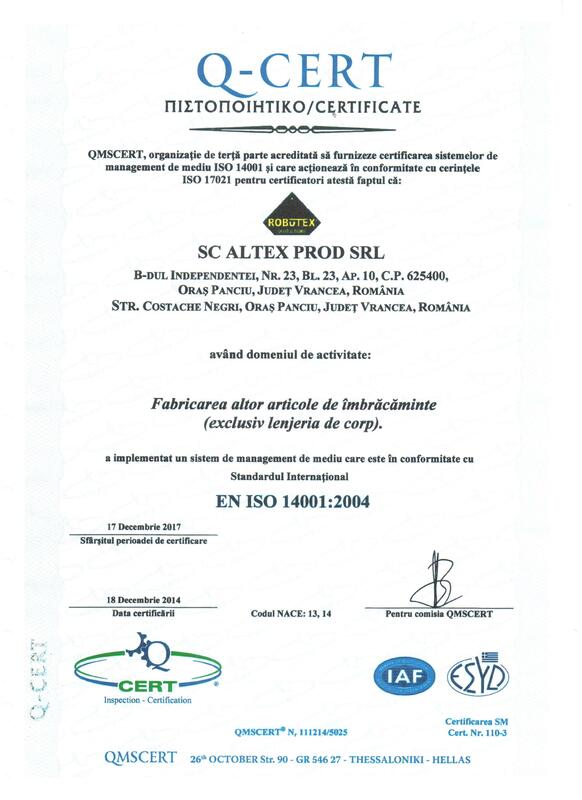 ISO 9001 and 14001 Certification. The development is part of our sustainability strategy, therefore we constantly work on acquiring of more efficient and productive machineries, the last investment being one lot of new generation equipment purchased in POSCCE 2007/2013, implemented in 2015.